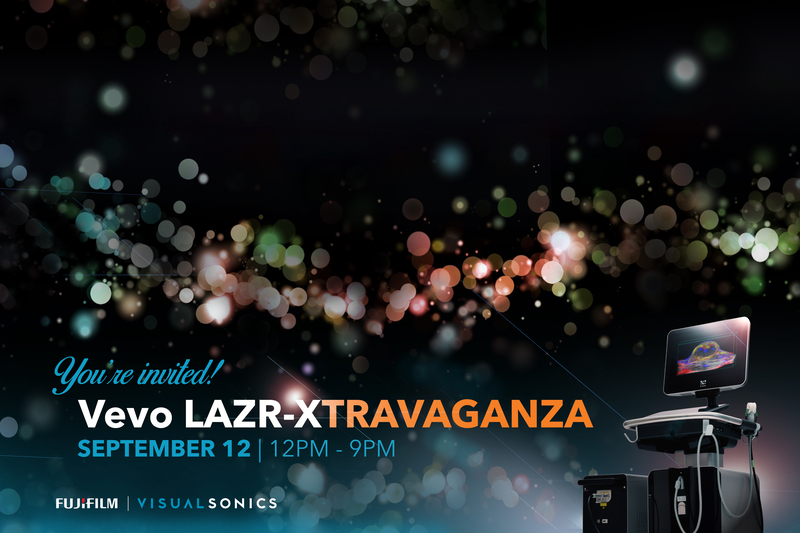 An exclusive opportunity for you to experience LIVE IMAGING using the new Vevo LAZR-X! The Vevo LAZR-X is the next generation of in vivo multi-modal imaging where volumetrics, hemodynamics, oximetry and biomarker detection are all at your fingertips. We invite you to join us for this exciting event including scientific talks, live imaging sessions, entertainment, food & drinks. No fee to attend. *Agenda & location details will be provided prior to event. *By filling out this form you agree to receive periodic emails from Fujifilm VisualSonics about product updates, events and education. © 2017 VisualSonics Inc. All rights reserved. VisualSonics is a subsidiary of Sonosite. VisualSonics logo, Vevo, Vevo MicroMarker, VevoStrain, VevoCQ, Insight through in Vivo imaging are registered trademarks of FUJIFILM VisualSonics Inc.